DAVID LE/Staff photo. 4/7/15. 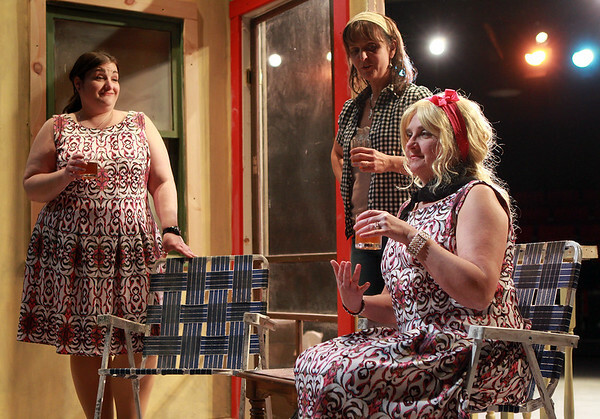 From left: Carolyn Aliskevicz, who plays Hattie, Tess Degen, who plays Elizabeth, and Amy Lee, who plays Sheryl Reed, practice a scene from "Laundry and Bourbon" one of the two comedic acts that is part of "1959 Pink Thunderbird" that will be playing at the Gorton Theatre at Gloucester Stage Company.